While NASCAR has officially made its return for the 2015 NASCAR Sprint Cup Series season, the Homestead-Miami Speedway track has been as hot as the picture-perfect winter weather in South Florida. Hosting a myriad of events throughout the past three months since NASCAR finished the 2014 championship, the Homestead-Miami Speedway March event calendar is full as well. I want to take a moment to highlight some of the great events coming in the next couple of months, and it all begins this weekend. 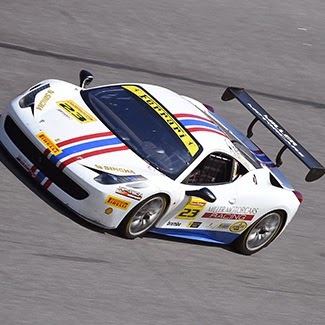 The Ferrari Challenge Trofeo Pirelli series is back in South Florida. A single-model championship series developed by Ferrari for clients who have a passion for racing, the Ferrari Challenge Trofeo Pirelli has been a thrill for fans since its inception in 1993. Racing at Homestead-Miami Speedway is the Ferrari 458 Challenge EVO, derived from the 458 Italia and fifth model used in the Ferrari Challenge. The Ferrari Challenge will be practicing on Friday, March 6, and will have qualifying and Race 1 on Saturday, March 7 and qualifying and Race 2 on Sunday, March 8. Tickets will be available for purchase upon arrival to the track for the event, and fans are asked to enter through Gate 18 off of Palm Drive for three awesome days of fast Ferrari racing. Fast Lane Friday, usually held on the first Friday of each month, moves to a week later for March. Driving enthusiasts are invited to try a different type of racing at Homestead-Miami Speedway, as the 1/8th-mile pit road is open to drivers to race their street-legal cars. Last month saw almost 300 cars racing, so be sure to get to the track early! The track goes hot at 6 p.m., and $20 allows you to race as many times as you would like all night. Don’t forget – you must be 18 or older with a street-legal car with registration and insurance to race. The racing at Homestead-Miami Speedway transforms from four wheels to two for the Championship Cup Series Motorcycle racing. Utilizing the 2.21-mile road course, CCS has become the leader in Sportsman Level motorcycle road racing across the nation. Fans are invited to watch all the action from the grandstands and the infield, with Paddock Passes beginning at $15. This is only a hint at the events that are on track at Homestead-Miami Speedway in March. New events are always added, and a full list can be found at www.HomesteadMiamiSpeedway.com.